Is there an AI you can actually talk to? I've tried talking to those AI/chat bots, but they all stop making sense pretty quickly... Is there no AI that you could actually have a conversation with or does that not exist yet? Nope, and such conversational AI is the goal of Turing Test. Nobody has achieved that yet. No, and I don't see it happening in the next 10 years. The movement on AI is just too slow. Little bits of progress are made here and there, but nothing substantial. Sure, google might create an AI, release it, and you'll only have that. Like, they won't build on a great foundation. They'll just say, well, we already did that, and well, we need to innovate. It's stupid. They don't realize all they have to do, is just add to what they already have, give their AI 2,000,000 more responses, put out a patch and there you go. But no, what should be simple, becomes impossible. I've seen a few of these online, but they soon stop making sense as you put it. I would love to just talk with an AI, and actually create a working relationship with it. The next 10 years, we will still be where we are today. It's sad really. Sure. You probably already have one. Things like Siri, Google Assistant, Bixby, Cortana, Alexa, etc. are all very simple examples of AI. They can't do a whole lot right now, and you can't really have a conversation with them per se, but there you go. No. This is actually a specific concept in computer science, known as the Turing test. To date, no program has yet been able to fool a judge into thinking it is a person. Yes, you can talk to any AI as much as you want; just don't except an intelligent response. Not yet. 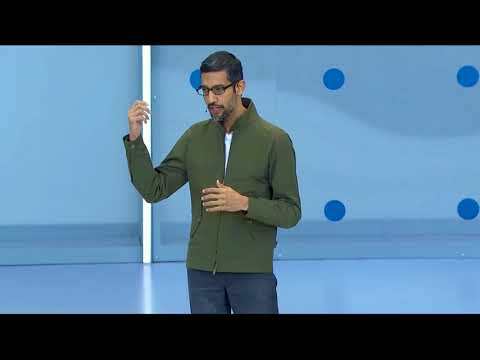 This year Google unveiled a very convincing assistant that could make appointments or place orders for you, fooling the receptionist on the other end with some little human-like quirks, and dealing with unusual situations like non-native speakers. Not ready to hold arbitrary conversations yet, though.